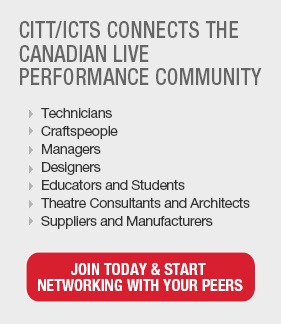 USITT is the association for theatre and live entertainment production professionals. 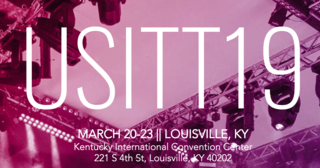 Registration for USITT19 is officially open and at its lowest price until Dec. 6! Need we say more? No … but we will. Join us in Louisville, KY, March 20-23, and be a part of the 59th Annual Conference & Stage Expo where education, networking, and hands-on opportunities thrive. Returning favorites such as New Product Showcase, Tech Expo, and book signings will delight, while new attractions and events are sure to surprise! Choose from more than 200 sessions, and get your hands dirty by participating in trainings and workshops on and off the Expo Floor. These low prices won’t stick around for long, so take advantage while you can. Special Rate for CITT/ICTS members! Add USITT Annual Conference and Stage EXPO to my calendar.